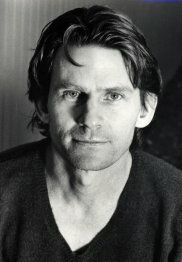 As a composer, Mackey has been honored by numerous awards including a Guggenheim Fellowship, a Lieberson Fellowship and a Charles Ives Scholarship from the American Academy and Institute of Arts and Letters, the Joseph H. Bearns Prize from Columbia University, a Tanglewood Fellowship, an award from Broadcast Music, Inc., and the International Society of Contemporary Music Award. In 1986, he was Composer-in-Residence at the Aspen Music Festival. His commissions have included works for the Koussevitzky Foundation at the Library of Congress, the Fromm Foundation, the Concord String Quartet, Kronos Quartet, the Pro Arte Chamber Orchestra of Boston, and soprano Dawn Upshaw. His string quartet, Fumeux Fume was a winner in the 1987 Kennedy Center Friedheim Awards, and Indigenous Instruments was selected to represent the United States at the International Composers Rostrum in Paris. Trained as a classical guitarist, lutenist and electric guitarist, Mackey frequently plays his own music and has toured often with the Kronos Quartet performing new works for string quartet and electric guitar. His music is recorded on Nonesuch, BMG's Catalyst label, Bridge, CRI and Newport Classics.